A requirement for scholarship applications and admissions essays, writing a personal ethics statement is a daunting task for any student. But what is an ethical statement? At its simplest your personal ethics statement is a way to get your own personality across on paper. It gives the reader an opportunity to consider your beliefs, opinions, morals and personal philosophies to better understand you as a person. You may consider how creating personal statement with expert can assist you here. 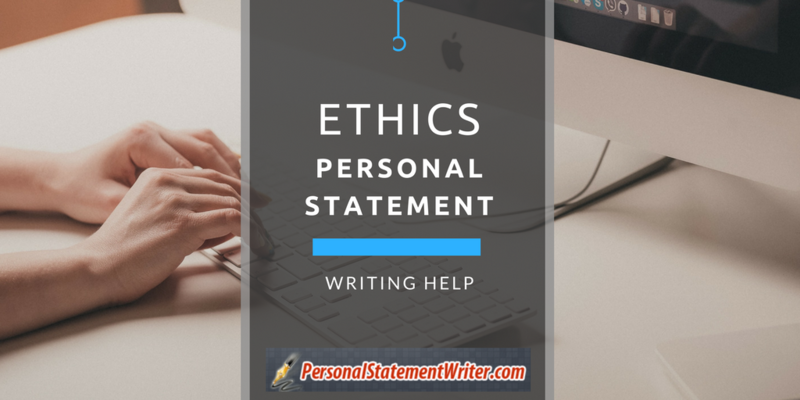 While your statement of personal ethics or theology personal statement does need to be a reflection of you and your personality, the reader, usually a professor or admissions committee must be taken into account. Therefore a format must be taken into account to allow for easy reading. Simplicity and honesty are key when it comes to writing a solid personal ethics statements. Your introduction should be short and sweet; either a mini-autobiography or, if writing about yourself isn’t really your style, the importance of personal ethics. Any important, maybe even life-changing, moments you’ve experienced are relevant and can be included in your introduction providing you can link them to your own personal philosophies and ethics. Consider the body of your personal ethics statement the guide to your own core beliefs and opinions of right vs. wrong. Here you can consider in depth your own philosophies to convince the reader (likely an admissions committee) of your own moral code. You may be given some requirements depending on your reasons for writing but the overall basis for your personal ethics statement paper will always be the same: you and your feelings. Most importantly you must follow any guidelines on requirements you are given. These can vary between statements due to its purpose or the intended reader but regardless of the reason they must be adhered to! Try to tailor the personal ethics you choose to consider to what your statement is intended for. Personal ethics statement papers for college scholarships should focus on your beliefs regarding academics and associated activities rather than your opinions on current affairs or conservation unless these are related to your courses! It is safer to include only the ethics you are absolutely confident in and very strongly believe in. Upon meeting you the reader is likely to establish if any of your “ethics” are not entirely true which calls into question your entire statement. Only preach what you actually practice! Call upon past experiences to justify your morals but do keep anecdotes short and sweet. Be completely honest and stay firm in your beliefs. Don’t feel you have to exclude anything you think the reader might disagree with or find unusual; include a short justification based upon what you have been taught or your own experiences to provide reasoning. Your conclusion doesn’t need to be lengthy, simply a concise explanation of the need for personal ethics in life. Examples are useful as well as where you might use personal ethics in your own life, perhaps even how they have made you a better person to really drive the point home! Always remember to proofread your statement for errors; particularly grammar or spelling errors. Regardless of your course, the source of funding, methods or topic of research the ESRC (Economic and Social Research Council) have six principles that are important ethical questions you should consider before beginning your research. Research should be designed, reviewed, and undertaken to ensure integrity and quality. Research staff and subjects must be fully informed of: the purpose, methods, and intended possible uses of the research; what their participation entails and what risks could be involved. The confidentiality of information supplied by research subjects and the anonymity of respondents must be respected. Research participants must participate in a voluntary way, free from coercion. Harm to research participants must be avoided. This can mean emotional or psychological harm as much as physical; damage of reputation is also a consideration under this heading. The independence of research must be clear and any conflicts of interest or partiality must be explicit. These fundamental ethical considerations could easily be included in your statement to demonstrate your understanding of research requirements for any projects you may undertake in future. It also shows a consideration for real-life ethics. Before your start, your statement, consider your own positive characteristics. Make a list of these, justifications and reasons for these qualities should then come to you more easily. Consider anything you would like to change about yourself from a moralistic viewpoint. Do you have a good work ethic? Do you treat others how you yourself would like to be treated? Next think about ethics you firmly believe in, ones you can honestly say you live by. These will be the foundations for your personal ethics statement. Be sure to provide justifications for your beliefs as well as personal experiences. Always check your spelling and grammar by proof-reading to ensure your application looks professional. Which values are ethical values – a useful website to help you compile a list of your own ethical values. If you aren’t sure of the meaning of a word, such as justice or benevolence, don’t blindly use it – look up the definition and consider whether or not it really applies to you. See professional sample diversity statements here. But why choose our help? With a huge variety of experienced professionals in a range of fields, we have the ability and expertise to give you the best chance of writing a top quality statement of personal ethics. Follow our hints and tips to ensure your success, be it in a research venture or taking a chance to further your education. Our guide will give you everything you need! Follow our useful guide to writing a super statement of personal ethics that is sure to give you a great first impression for any admissions council!